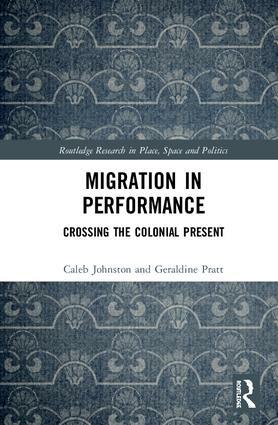 There is another newly published title in the Routledge Research Series in Place, Space and Politics – Migration in Performance by Caleb Johnston and Gerry Pratt. For a full list of the books in the Series, look here. “This book follows the travels of Nanay, a testimonial theatre play developed from research with migrant domestic workers in Canada, as it was recreated and restaged in different places around the globe. This work examines how Canadian migration policy is embedded across and within histories of colonialism in the Philippines and settler colonialism in Canada. 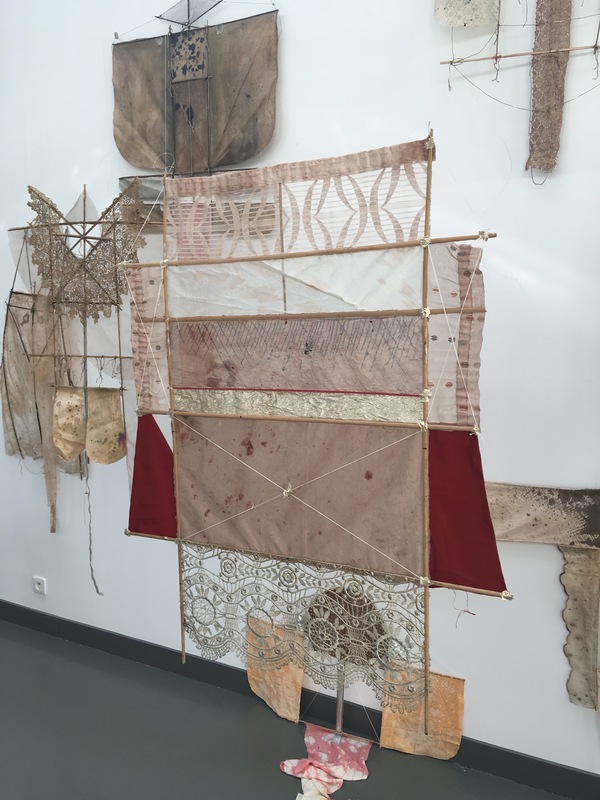 Translations between scholarship and performance – and between Canada and the Philippines – became more uneasy as the play travelled internationally, raising pressing questions of how decolonial collaborations might take shape in practice. This book examines the strengths and limits of existing framings of Filipina migration and offers rich ideas of how care – the care of children and elderly and each other – might be rethought in radically new ways within less violently unequal relations that span different colonial histories and complex triangulations of racialised migrants, settlers and Indigenous peoples. Another title in the Routledge Research Series in Place, Space and Politics has been published, Geographies of Postsecularity – written by Paul Cloke, Chris Baker, Callum Sutherland and Andy Williams. A full list of the books in the Series can be found here. 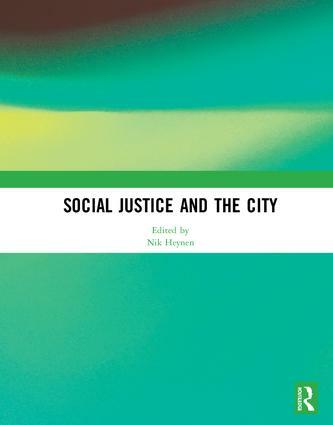 Now available as a hardback book, the special issue originally published in the Annals of the Association of American Geographers on the theme of Social Justice and the City. As before, my chapter, as it is now, works through the relevance of the arguments made in The Priority of Injustice for fields of geographical research. It might also be one of the only chapters which addresses in any substance the original book of the same title. Not sure what to make of that. 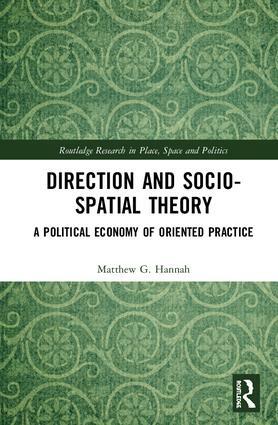 The latest edition to the Place, Space and Politics monograph series is now available, Matt Hannah’s Direction and Socio-spatial Theory: A Political Economy of Oriented Practice – an important contribution to debates in geography and beyond about embodiment, practice, one might even say intentionality (my word not, I think, his). Details of soon-to-be-published titles in the series, as well as a full list of already published books, are available here. A new issue of the journal Justice spatiale – Spatial Justice is now available – exploring the theme of Multiple Faces of Spatial Justice. This issue also represents a new stage in the development of this innovative and interdisciplinary journal, as explained in the editorial intro. Who Does Geography Matter For? The report last week by the Royal Historical Society on Race, Ethnicity and Equality into the discipline of History in UK higher education, as well as some of the attendant press coverage, has reminded me of a train of thought I have been following, in my own head, since the summer. It was prompted by the #ChooseGeography hashtag, which has been a medium for sharing various reasons to affirm why Geography Matters, as they used to say. The stream of tweets reminded me that I, and a number of other geographers I know, didn’t really choose geography at all. It chose us – it’s proved to be an unexpectedly creative and open space in which to find things out. Perhaps this grammatical difference – between choosing geography and being chosen by it – indicates a significant cleavage within the field more broadly. The active sense of choosing geography is associated with a strongly justificatory rhetoric of why geography matters in more or less useful, practical, even applied, ways. 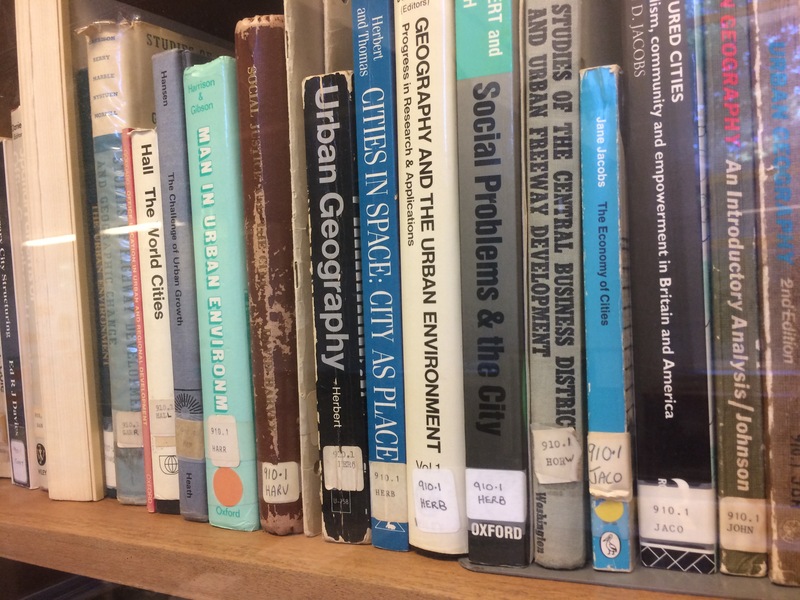 #ChooseGeography does reflect a wider embrace of the idea that Geography is ideally placed to address all sorts of ‘global challenges’ – because geographers are really good at understanding the interactions between local actions and global processes [they really are]. Of course, it’s worth remembering that all those ‘challenges’ that drive current debates about the value of research are externally sourced (remember, the establishment of UKRI means the Haldane principle is effectively dead – by defining it as a principle only relating to decision about individual research proposals) – which does raise the question of what is involved when whole scholarly fields define their own intellectual agendas by so openly embracing the logics of ‘challenge-led’ research (i.e. what the government of the day randomly decides is worthwhile, with no more arms length mediation). The problem with the ‘really useful knowledge’ version of geography is that it tends to side-line that strand of geographical thought that focuses on how all those ‘challenges’ arise as matters of public concern in the first place [you could call that a ‘critical’ strand, or a ‘genealogical’ strand; or, just ‘science’, in so far as science is about problem-finding, not problem-solving, to borrow a line from Richard Sennett]. So, for example, lots of those ‘global challenges’ are now described as really complex, and therefore requiring integrative, ‘interdisciplinary’ approaches. Climate change is, obviously, the best example – it’s now routinely thought of as a “super wicked problem”. Now, if you take that idea seriously (and you should), then it means that this sort of problem can’t be solved (and certainly not by the application of scientific knowledge, however integrative and expansive it might be). A little bit of intellectual history can be a dangerous thing. Science doesn’t offer solutions. It’s difficult to roll that idea into grand funding bids though, isn’t it. So, here is my final thought: Just what is the relationship between the idea of geography-as-useful-and-challenge-oriented, on the one hand, and the chronic whiteness of the discipline, in the UK, on the other? To be more precise, how does the ongoing framing of a field of knowledge – one that seeks to understand the worldliness of the world – as a purveyor of beneficent knowledge which is able to solve other people’s/peoples’ problems (and especially, which is able to solve problems created by other people’s/peoples’ supposed lack of thoughtful action), how does that framing help to reproduce a problematic and unacknowledged paternalism at the heart of the Subject of academic Geography (whether as student, teacher, or researcher)? Just askin’. Seriously. Anyway, I wonder if the Royal Geographical Society (with the Institute of British Geographers, of course) might consider a similar exercise to the one undertaken by the RHS sometime soon. It would make interesting reading. Some time ago now I wrote a post which raised some questions about how the decision of the UK government to redirect a large slice of ‘development aid’-related funding to the science budget, primarily through the Global Challenges Research Fund (GCRF), might play itself out over the course of time. Well, this question is already a live public one – Eleni Courea at Research Fortnight has a concise account of how both the GCRF and the Newton Fund are currently subject to debate amongst academics, politicians, and NGOs concerning the degree to which the aims of those schemes can be justified. There is a much larger story here, I should say, and perhaps the terms of the debate summarised in this piece might well be challenged. Noel Castree’s comment at the end of this piece – concerning the implied paternalism regarding British expertise that is sometimes associated with these schemes – captures much of what I suspect many people worry about. I should say also that the Newton Fund project that I am involved in aims to address precisely that worry. Basically, a good lesson to remember is that you should never trust people who claim to be able to mobilise ‘science’ in order to ‘solve’ what are too glibly called ‘global’ problems. Whatever happened to postcolonial theory?